Animé has become a worldwide phenomenon. The medium once nicknamed as Japanimation has crossed cultures and become one of the world’s most popular forms of entrainment. Whether it’s the films with amazing animation, the twenty-six episode character and plot driven series or the shows that go one for hundreds of episodes full of popular characters, animé has been pleasing people all over the world for over twenty years and shows no signs of stopping. It’s difficult to give a specific definition of animé. Animation from Japan will suffice but it can be more than that. The art style, fused with certain plot elements, cliches, characters and such let anyone identify an animé, so much so it can be produced outside of Japan (with Canadian series Zords being an example). What has helped animé become so popular is it’s diversity. Animation in the west tends to be action and adventure or wackyness for kids and then comedy for adults. Animé though has many different genres and age ranges. You get your popular action adventure animés such as Dragon Ball and One Piece, horror in the case of Vampire Hunter D, sports with Slam Dunk and the Prince of Tennis, fantasy with various Studio Ghibli films, comedy from Bobobo-bo Bo-bobo and Doctor Slump, supernatural elements in Death Note, sci-fi from Akira and Ghost in the Shell and much more. Whatever interests you have, there’ll be an animé for you. Animé appeals mostly to teenagers and it’s easy to see why. Animé can be aimed at older audience that western cartoons, allowing for more development, action and themes. This let’s teenagers maintain an interest in animation once they grow out of what the west provides. 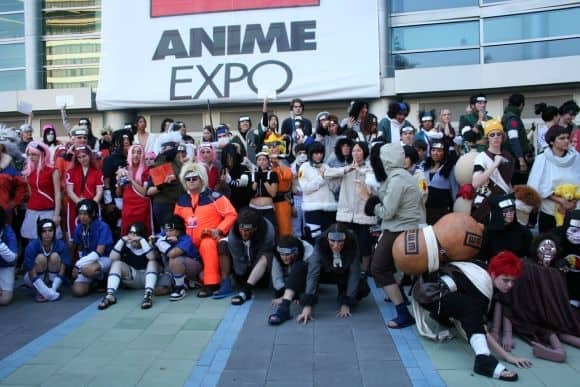 Shows such as One Piece and Dragon Ball have been popular for years thanks to their colourful and unique characters that resonate to people years after their debut. How people experience and enjoy animé spreads further than simply watching it. Merchandise plays a big part in the fandom, with you being able to find anything based on many popular animés. 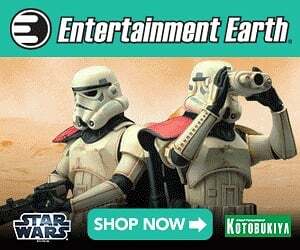 Action figures, models, clothing, artwork, soundtracks, novels, radio dramas, trading card games, food, restaurants, hotels, furniture, utensils, tissues, and even contraceptives have been released with animé themes. This allows people to indulge in what they like in numerous ways and take part in the fandom with what appeals to them. Most of the more popular action and adventure animé shows have had a video game based on them. Dragon Ball has many fighting games based on it, there is a a variety of Gundam games in different genres, the One Piece Pirate Warriors franchise continues to grow, the Digimon Story games have now spread outside of Japan, and are just a few examples. There are many games that aren’t based of an animé but are influenced by it. Some include the Persona RPG series, the Magical Stacks by Coral online casino come with an Anime feel, the Danganronpa visual novel games, the Guilty Gear fighting games, the puzzle game Catherine or The Idolmaster rhythm games. Cosplay is one of the most known aspects of animé fandom and has been adopted by comic book and video game fans. Animé characters often have extravagant, outlandish or cool designs and so people want to emulate them. Cosplay enables people to be part of their favourite series on a personal level and showcase their love for it to others. Some enjoy simply dressing up, while for others it’s the challenge of creating the clothes and accessories to accurate degrees. Thanks to the internet, this has speared with people being able to show off their costumes to larger audiences as well as give advice and tips, with online stores making it easier to find what you need. Animé has been around for a while outside of Japan now and with new series being made and popular ones continuing, it will likely be with us forever.